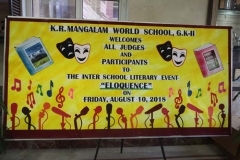 Young, literature enthusiasts of K.R. 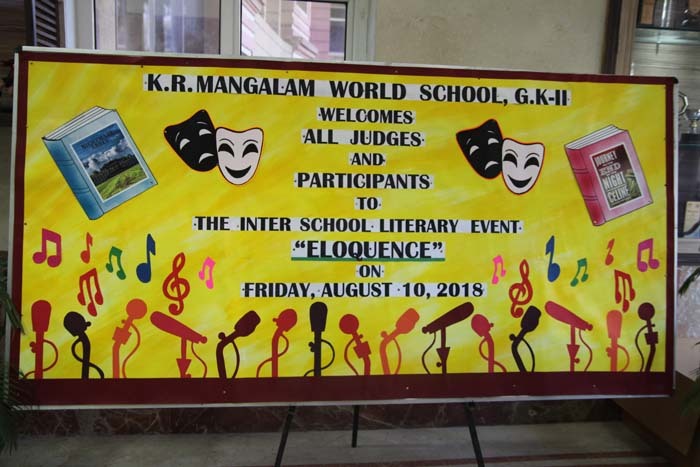 Mangalam World School, GK-II, joyfully and with full zeal celebrated ‘ELOQUENCE’, its maiden inter-school literary event which brought to life various characters from literary texts across the gamut of English literature. 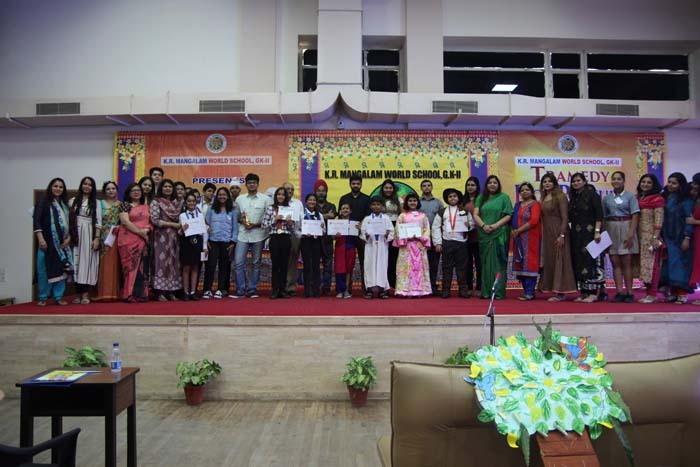 The theme for this year’s literary competition was ‘Bringing Humour to Life’ and the event witnessed cheerful and active participation from more than 25 leading schools across Delhi and the N.C.R. 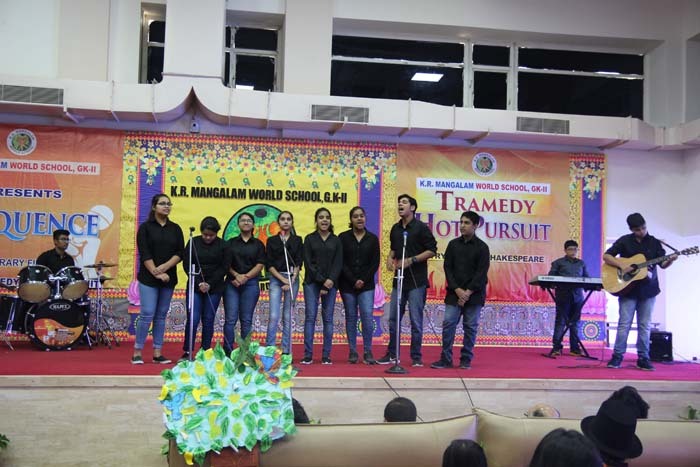 The event opened with an interesting twist to the original characters and innovative dialogue delivery bringing alive by Senior School Students with their mystical powers, the famous works of literature into real life, leaving the audience mesmerized and spellbound. 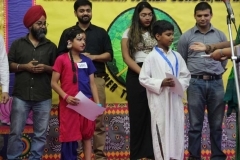 As Nelson Mandela said, “If you talk to a man in a language he understands, that goes to his head. 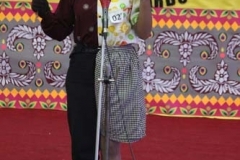 If you talk to him in his own language, it goes to his heart”. 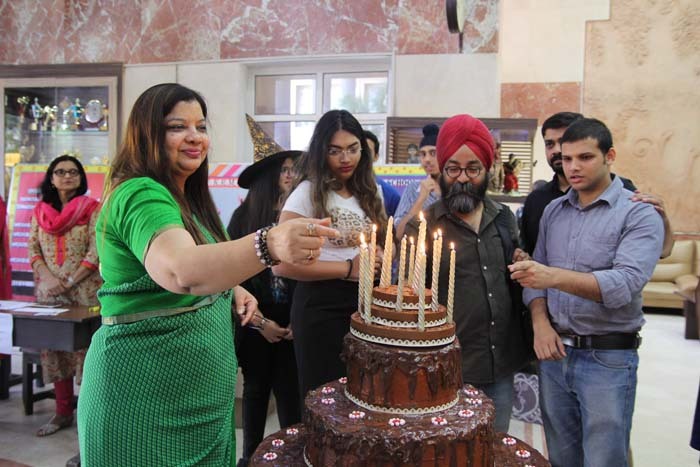 In her inaugural address, the Principal, MS. SANGEETA ARORA, brought to the fore the school’s consistent efforts at broadening the students horizons and moulding them as students of a global world. 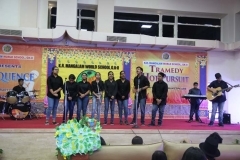 The song “never say never” left the audience foot tapping and singing to the tune. 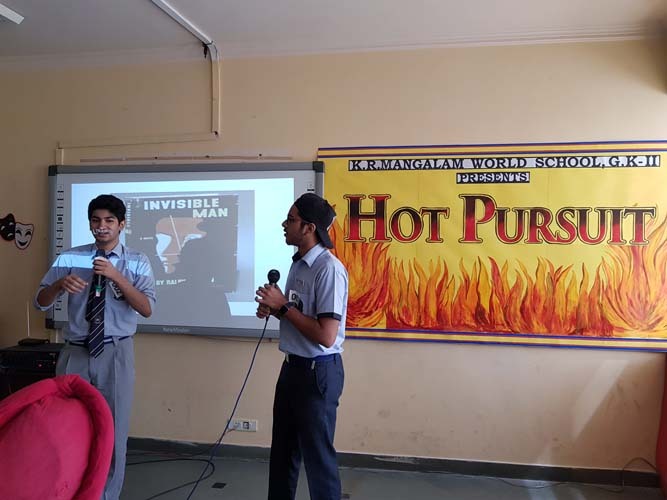 The three competitive categories ‘Tramedy’ , ‘ Tryst with Shakespeare’ and ‘Hot Pursuit’ brought forth the creativity and imagination of the students. 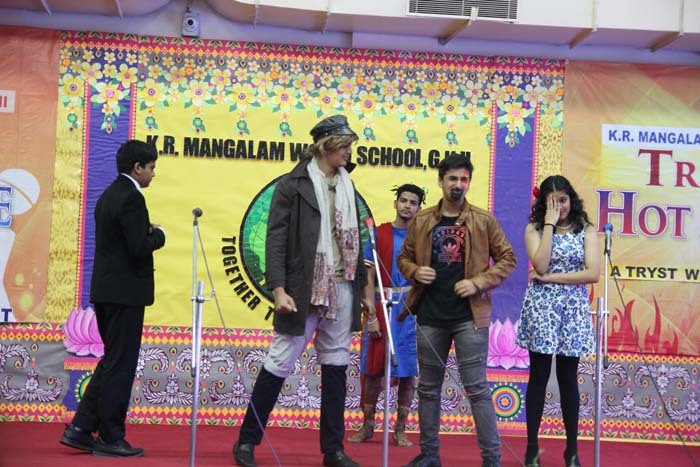 While ‘Tramedy’ and Tryst with Shakespeare required the participants to use their oratory skills to deliver a tragic speech of any character from English Plays in a comic / humorous Bollywood style. 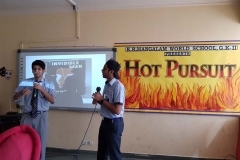 ‘Hot Pursuit’ was a vociferous delivery to reinterpret the title of a famous English Play/Poem/Novel in a sensational comic manner. 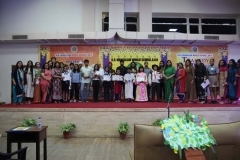 The events conducted were aimed at inculcating positive values within the students and lead to a holistic development of their personalities. 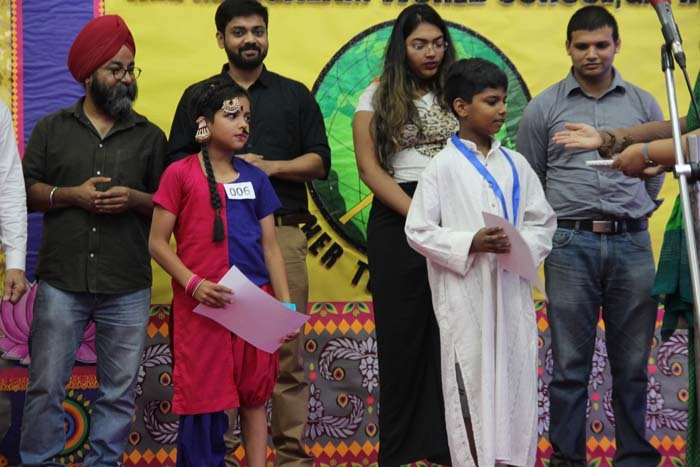 The esteemed panel of judges included eminent persona from Literature Field. 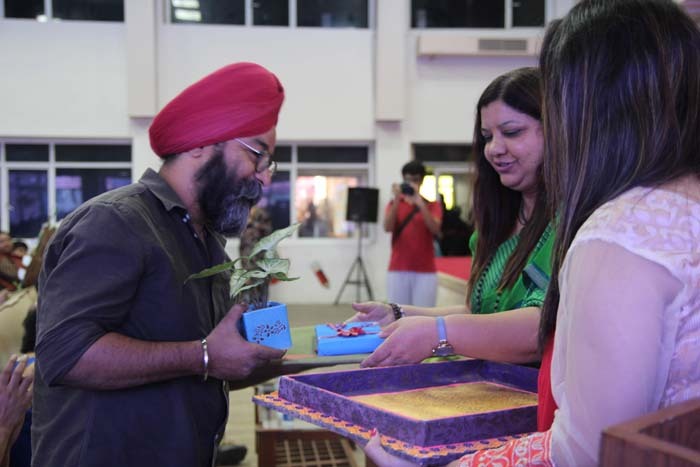 The judges were highly appreciative of the event and commended the plethora of talent that they got to see on one platform. 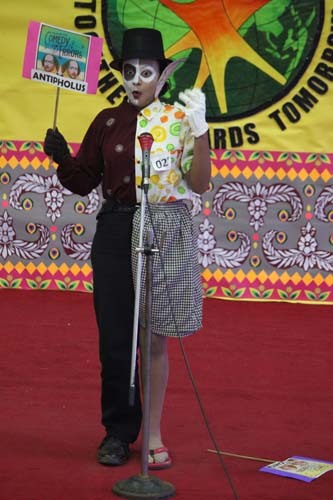 They were extremely effusive about the originality, confidence and creativity on display. The Overall trophy was bagged by DPS, Noida. The Vote of Thanks was delivered by the Senior School Coordinator Ms Ritu Sachdeva who expressed gratitude to the esteemed judges for taking time out of their busy schedule to motivate the students.